During the APAO (Asia Pacific Academy of Ophthalmology) Meeting held in Beijing in September, 2010, Lei Zang, the Managing Editor of Ophthalmology World Report, interviewed Professor John Marshall of St. Thomas Hospital in London and the principal behind the Ellex 2RT (retinal regeneration) program for Ellex Laser, and also an investigator (and inventor?) of the Avedro microwave corneal crosslinking program. In this interview, Prof. Marshall discussed both his work on 2RT and on microwave crosslinking as well as several other topics that will be of interest to ophthalmic researchers. I would like to thank both Ms. Zang and Ophthalmology World Report for permission to reproduce the interview, which will appear beginning in the April 2011 issue of the magazine. We usually think it is the wavelength of a laser that makes the difference in terms of its effect. But in SLT and 2RT, it is a different case. Could you please explain this to us? The first thing is, contrary to popular belief, wavelength is relatively unimportant. Providing the wavelength can get through to the target, it really doesn’t matter what wavelength you use. You can use wavelength anywhere between 400 to 1400 nm in the eyes. The thing that makes the difference in terms of specificity of reaction is the duration of the laser pulse. If you put in long wavelength with millisecond pulse duration, then as the energy is degraded into the tissue, it results in heating, and the heat spreads. So the bigger the spot, and the longer the pulse, more heat spreads and more damage you do to the tissue. By contrast, if you have a short pulse and you reach the point that the mechanism is no longer the heat, it is the state change of the tissue. Almost instantaneously the tissue goes from a solid state to a liquid or gas state. You can take the YAG-laser capsulotomy as an example, in which you pulse the holes on the capsule not by heating it but producing the microplasma, and so you get the state change in the tissue and get the explosion, and the hole. In the trabecular meshwork, if you heat it up, the net result will be scaring. You just need to make holes in the trabecular meshwork instead of closing the holes with the scars. Dr Latina’s work (on SLT) showed if you put the very short pulse over a relatively large area, because there are only a small number of pigmented cells in the trabecular meshwork, the energy will be deposited in those separated pigmented cells. Those few cells will have chemical changes, they start to release enzymes and cytokines which recruit macrophages, and the macrophages will release more enzymes. The magic thing about SLT is the pulse duration. So the technology is to be selective in the few pigmented cells, and the very short pulse combines with the energy degradation only takes place in the small areas where the pigmented cells are involved. Ellex 2 RT "Wonder Treatment"
Any wave between 400 and 1400 nm will be absorbed by the pigmented cells and be transmitted inside the eye. The shorter the wavelength, relatively more energy will be absorbed. But it doesn’t matter what wavelength it is in that wave band. If you have a tissue where the blood vessels are quite large then you can’t deposit the blue or green light in the tissue. But in the eye the blood vessels are so small, the percentage of the energy absorbed by the blood vessels is tiny comparing with the percentage absorbed by the melanin cells in the eye. In the early textbooks it is partially correct that the shorter the wavelength the more energy will be absorbed. But in reality, in the practical level inside the eye, all the wavelengths will have the same effect on the retina, the only difference is, are they effective on the choroid behind the retina. Theory is only useful when it explains the practical results. So if you want specific exquisite action on the tissue, change the pulse duration not the wavelength. It just so happens that it is very easy from the manufacturing standpoint to produce lasers of 532nm, which are green. With 2RT what we’ve actually done is with the same principle, we use the short pulsed laser, 3 nanoseconds. Again it happens to be 532nm, but it doesn’t necessarily to be 532, it’s only because it is easy to make commercially reliable laser. In trabecular meshwork you have dispersed a few pigmented cells. In the retina, all the epithelium cells are pigmented. We can’t select the tissue, on the contrary, the tissue selects the wavelength. You have to make the laser more selective. There are two key things, one is very short pulse, two is the discontinuous beam managing. I am sure you have seen the laser pointer with speckle pattern, some points seem bright and some points seem dim. What we do now is in our laser beam, some bits are very bright and can make cells undergo change, and the rest of the beam is not as bright so the cells don’t undergo changes. We create the selective process by designing the beam of the laser. We make the very special beam, only certain points- 20 to 30um each- within the beam are enhanced and have enough energy to cause the changes. Even if we irradiate 400um, only 15~20% of the cells within the area are affected. So if you look at the laser beam the energy is distributed in a Gaussian pattern across the beam normally, or the squares pattern. In ours the energy is distributed in tiny areas. The beauty of 2RT is, these targeted pigmented epithelial cells will release the enzymes, creating the channels in the Bruch’s membrane so the fluids can get out, while the other epithelial cells will look after the rods and cones by providing the nutrients. What are the applications of this concept of “selectivity” in other ophthalmic lasers? I think this will be the norm in ophthalmology. Because currently every time you fire the laser, you kill the cells in the targeted area. We always say that’s the risk to benefit the retina, but do we really need to do so? When lasers first started to be used for treating retina, the idea was to kill all the cells, the ganglion cells, the bipolar cells, the photoreceptor cells etc. The idea was if you destroy the ischemic retina, then you stop the factors which cause new vessels to grow. Then we thought, if it’s just ischemia, if we destroy just the photoreceptor cells, you can get the same effect. Then more recently we know that all the beneficial factors come from just destroying the pigmented epithelium, which means much less destruction to vision and much more preservation of the retina. The initial trials were done on DME. Part of this problem is when the fluids pass from the near retinal into the choroid through epithelium and get to the level of Bruch’s membrane which is hydrophobic, the fluids can’t get out. So if you “clean up” the Bruch’s membrane, then the fluid can go. The first trial was on diabetic retinopathy and 90% of the patients got better visual acuity. The next application is certainly going to be dry AMD*. 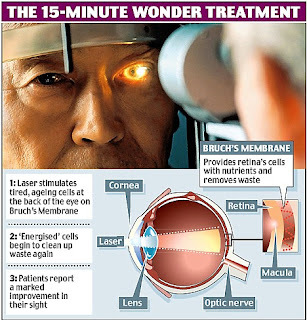 But all those inheritive retinal diseases which affect Bruch’s membrane, like Sorsby’s dystrophy, any condition in which the fluid accumulates in the retina, or in which the photoreceptor cells are dying as a result of not getting the necessary metabolites, this laser will work for. * Editors Note: This work is currently underway in Australia. I have reported on the six-month results and hope to have the twelve month results shortly. Further, I have heard from Ellex that the initial twelve-month results were so promising, that the company is planning on starting an expanded 500 eye multi-center trial shortly. When you think of AMD, the most important risk factor is the age. For 60, 70 years, your retina may work well, even if you have bad genes. If you can remove or reduce the aging change, i.e., retinal rejuvenation, even if you have bad genes, the effect of the bad genes may not be seen until you are dead. So instead of the gene therapy, here you just change the space on the retina. Please tell us about microwave in refractive correction and keratoconus treatment. Having invented the method of the use of the excimer laser for reshaping the corneal surface (PRK), the thing I don’t like is people are now doing LASIK. Because when they cut the flap, 100% of the LASIK eyes are weak. I didn’t like that. So I thought, is there any way I can stop that happening? Then came the idea of microwave. With microwave, we don’t cut or remove anything. You just change the shape of what’s there, and then it is as strong as it was before the surgery. The problem with microwave heat effect is you can only make it last for a short time. Then I asked, how can I make the heat effect there for a long time. We looked into the cross linking of collagen. The cross linking classically takes one hour. So I thought, “is that science right?” When we looked into the science we found out people made a few mistakes in the thinking. In the classical cross linking, you soak the cornea with riboflavin for 30 minutes, then irradiate the cornea with 3mW for 30 minutes. What will happen if we put 30mW for 3 minutes, it’s the same amount of energy. It worked! Then let’s look at the cell biology for safety issue. There is no toxicity. So we designed a new microwave machine which has more power, presents the same energy but in a much shorter time. Now I can do that in 5 minutes! Then I said, well if it takes only 5 minutes like LASIK does, I can make the 100% weak LASIK eyes strong again. Now let’s take a look at keratoconus. The doctor tells the patient, “I am sorry you have very bad cornea, and it’s going to get worse. If I cross link it, it stays where it is, but it’s still a bad cornea.” But with microwave, you restore a nearly perfect cornea, then with the flash cross-linkage, you have a stabilized good cornea. So you use microwave to reshape the cornea, then use cross linking to fix it. Yes. There are two things, the microwaves change the shape. The beauty of microwave shape change is it goes through the prolate cornea with different refractive power. The same as excimer laser. Before the LASIK surgery, you have to evaluate how much you should take away, of how big an area, for how many diopters. The parameters come up with the formula. Now with microwaves it is exactly the same procedure. How much microwave we have to apply, how deep and how big an area to get the given effect. We had gone through the experience with excimer, so it was a very much short learning curve with the microwave. In our early experiments in Istanbul, we showed the linear relationship between the microwave, the time, the size of the electrode in the diopter correction. So if the patient comes, you take the topography, you enter the topography and the refraction into the computer, it tells you what is going to do. We worked on the project for 4 years and it was moving very very quickly. There are three parts for the microwave. You have a handheld device which is like the microkeratome vacuum ring, you put that on the cornea and lock it with vacuum. Then you put on a little device which has cross valves and you center and adjust, you lock out that centration. Then you switch on the microwave. Done. The beauty of that is this can be great effective in treating keratoconus because we can correct the optical defect caused by the cone without removing any tissue, without further weakening the tissue. Finally you use flash cross linking to fix the cornea. We have done a lot of experiments and have reached the conclusion that the most of the corneal strength is on the upper 1/3. So we only need to change the first 1/3, i.e., 140-200um, of the cornea. You just need to soak the cornea with riboflavin for 3 minutes and irradiate with ultraviolet for 2 or 3 minutes. So you think the microwave-quick cross linking technology can be applied in LASIK procedures? 100% of the LASIK eyes are weakened and that worries me. Any engineer will tell you, over the period of the time, the weakened structure will become more and more fatigued much more rapidly. By reducing the time for cross linking we can make 100% of the LASIK eyes stronger. We can do it in a time frame that surgeons don’t find unusual. The current cross linking takes one hour, we reduced it to 5 minutes, we could’ve reduced it even further but practically 5m is a good time for the procedure. What we suggest now is if you do a LASIK procedure, you can then use the flash cross linkage to restore the integrity of the cornea, so you get rid of the real problem of LASIK. In LASIK, you weaken the cornea depending on how deep you cut. If you cut 80-90um flap, then you take away 10% of the strength, if you cut 140um, you take away 25~30% of the strength. LASIK removes 25~30% of the strength, while cross linking increases the strength by 400 times. So that way you shouldn't see any worrying complication of the LASIK in the future. What do you see are the promising future technologies in ophthalmic laser? I work very closely with LenSx. I did a lot of work with them on their femtosecond laser device. I think it has great future in the lens. Maybe you could change the elastic constant of the lens and adjust the lens for presbyopia. The real thing you should look at, in my point of view, is that Schwind has created a new 355nm ultraviolet laser for cutting the flaps. I think it has more future than femtosecond for cutting the flap. It has very high photon energy compared with infrared, so instead of having a lot of photons to get a big plasma, with a few- much less- photons you can still get the plasma, but very small, so you can make much more refined cuts in the cornea, and you could perhaps do intrastromal corrections without lifting a flap. You don’t have to make the side cuts, so you keep a strong cornea. Now it is still used to cut the flap but I think it has the potential. How did you transfer from a physicist to a professor in ophthalmology with extraordinary achievements? I am very lucky. I am a physicist by background and I worked very early with some very good doctors, and I became a fellow of pathology, so I am also a pathologist. I am the honorary fellow of ophthalmology and honorary fellow of optometry because I made so many scientific contributions to so many fields, they adopted me like an “orphan child”. From my PhD -- it was the very beginning of the lasers -- I was involved with laser safety working with World Health Organization, International Red Cross, every safety committee. And I wrote many of the codes of practice for safety, so my primary concern is always safety. I don’t want to endanger anybody. The first thing is safety, the second thing is efficacy. Is it safe? Does it work? Does it work well? Can we make it better and safe? All the time. The biggest scientific advancements are always made when you apply one technology to another area. I have always sat on the edge of technology looking for opportunities, hence the excimer laser came from the work people were doing in the print industry. Printers were using excimer laser to make very fine plates for printing, then I thought, “wow, we can do it in the eye, then we could correct the refractive errors.” Always I think from one area to another. I do a lot of science. Many clinicians see a problem, and think, “I am treating that problem then I don’t have to think about it anymore.” But I always think, how can I make it better, is there any other way doing that? You always should be looking at the next technology cliff. I always think -- you know candles for lighting -- if I worked for a candle making company, what would I have thought when Edison came along with the electric light? The candle company might say “go away we make candles”, but in 2 or 3 years, the electric light went to everywhere! I always look into the next technology. You have made so many achievements. Any advice to our readers? I worked with two sorts of professors. There are some professors who think they are so good that they don’t want any competition, so they don’t have lots of bright people around them. The second sort of professors always want the challenge and new ideas. I always want bright people to come and work with me, and challenge me. In my lab, what I say means nothing, the students should always ask why and always challenge everything I say. What I love is never to defend the science, but always look into the weaknesses. I tell all my students to look into the weaknesses. Because if you can’t find one, maybe this science is right. If you can find one, then that’s the future research. In my lab, everybody is on a first name basis, and anybody can ask anybody to defend what they say. Everyone has to know why he/she is doing the thing. Always encourage young people to challenge you, never pretend you know everything. The young people are the future and their questions always cause me thinking. Dare always to question. So to go back to your question, I have always been surrounded by smart people, young smart people, always. What is the science behind 2RT? Retinal Regeneration, 2RT (Ellex), is designed to treat a range of retinal diseases caused by a compromised retinal pigment epithelium (RPE) and Bruch’s membrane, the structures responsible for transporting the energy supply to, and removing the waste from, the retinal photoreceptors. 2RT stimulates a biological healing process that results in cellular regeneration, reversing these impaired transport mechanisms. 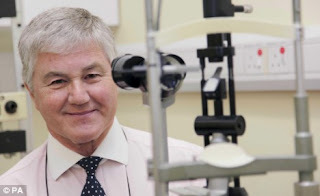 Laboratory studies undertaken by Professor John Marshall, PhD, FRCPath, FRCOphth (Hon), at St. Thomas’ Hospital, London, UK, demonstrated that 2RT rejuvenates the entire transport mechanism of the retina and improves hydraulic conductivity of Bruch’s membrane. Lei Zang is the Managing Editor of Ophthalmology World Report. With the permission of Lei Zang, the Managing Editor of Ophthalmology World Report, here is her interview with noted refractive surgeon Dr. Ronald Krueger of the Cleveland Clinic. As noted below, Dr. Krueger was recently in China to perform a corneal transplant on a Mongolian patient and while there, attended the APAO Meeting held last fall in Beijing, where Ms. Zang had the opportunity to interview him. This interview, conducted by Lei Zang, Editor, will be published in the March 2011 issue of Ophthalmology World Report in China. In July 2010, a young patient in the capital city of Mongolia, Ulan Bator, who was at the risk of blindness from a severe corneal ulcer, came to Gansu Province to receive a corneal transplant. The surgeon who did the surgery for him - Dr Ronald Krueger from the Cleveland Clinic, one of the top refractive surgeons in the world - flew to China with the donor cornea. The humanitarian organization he is involved with, GANSU, INC., brought the young man to China for the procedure. Besides his busy practice at the Cleveland Clinic, Dr Krueger dedicates his passion to the charitable organization, GANSU, INC., which focuses on Gansu and Qinghai, two under-developed provinces in western China. Beyond that, helping China establish an effective and efficient residency training system has become his greatest interest. Ophthalmology World Report spoke with Dr Ron Krueger during Beijing APAO, unveiling what GANSU, INC. is doing in the western part of China and as a newer generation eye doctor, what he sees about how to solve the physician education problems here. GANSU, INC. has been working in Gansu Province for over 20 years. What is the working model of this organization? In 1990, Dr William Christie Conrad, an ophthalmologist and his wife Peggy, an ophthalmic nurse founded GANSU, INC. The organization is dedicated to promoting and delivering eye care to the people of remote, rural, northwest China through education and activity of eye care. Dr Conrad, the grandson of William and Jessie Christie who were missionaries in Gansu Province early last century, whose mother also lived years there as a child, has a heart for this part of China. After visiting the place where the Christies lived and seeing the lack of health care in Gansu Province in 1987, as an ophthalmologist, Dr Conrad founded GANSU, INC. which has been working closely with Gansu Health Bureau. Patients come because the health department lets them know. When the patients come to the hospital, adjacent to where the mobile surgical trailer is set up, they are first screened. They are then brought to the trailer, and assisted onto a stretcher beneath the microscope, where we perform the cataract surgery. We mostly perform small incision cataract surgery, because the cataracts are very dense and are more effectively removed than emulsified… We set up our trailer adjacent to a rural hospital for the whole summer, from late May until September. Multiple surgical teams come for a month at a time, and perform the surgery, operating everyday during the week, except weekends. We don’t perform a super high volume, but consistently do a steady number, and have been doing so for 20 years. We provide the surgeries free of charge, but the local hospital does charge for routine blood tests, screening and after care. But what will be after you have left? Have you thought of training a local team as a more sustainable way? Yes, but limitations exist in training such a team. What we have been doing is providing a service to the poor and underserved, and we have been doing this consistently every year for 20 years. We generate good will, helping people in need and building relationships. We also love to train people, and encourage the local ophthalmologist to come work with us and see what we are doing. But training has not been the main focus of our model. Many rural ophthalmologists are nonsurgical, and there has been no hospital infrastructure or incentive for them to get access to or even seek out surgical training. This is where things in the Chinese system need to change. Over the years, we have performed sight saving cataract surgery on over 6000 patients without a single documented infection. Although we don’t see many potential complications, due to a lack of consistent follow-up, we believe they would come back and seek attention if a serious problem arose. A number of them, however, do come back in the following year, and those with PCO are able to get a Nd:YAG laser capsulotomy. That’s pretty much all they need. Do you want to change this model that has been applied for 20 years? I am one of the newer generation physicians involved with GANSU, INC. and have been involved as the president of the Board for the past 5-6 years. The older generation set up the model, and it has been effective in meeting our goals of helping people, and having a positive influence in the community for many years. But, as I look at the next 20 years, I believe we should do greater case numbers and more education. Currently, we are not set-up to be educators, even though we have hosted 5 multi-subspecialty teaching teams in Gansu provincial hospitals over the past 13 years. But to be effective, and build on our 20 years history, I’d like to partner with other organizations that can help set up standardized educational programs within private hospitals that can train the next generation of qualified ophthalmologists and ophthalmic surgeons. I believe that privatization of health care is the model that will succeed in the future, and building educational (Ophthalmology Residency) programs within the efficiently run private hospitals is one way to assure this success. We have been talking with one of these successful eye hospital groups in trying to establish an educational partnership with the goal of establishing Western style Eye Residency programs. Who do you partner with locally? The health department itself is our local partner. We communicate with the Gansu Health Bureau, and also most recently with the Qinghai Health Bureau, months before our arrival to establish details concerning transportation and our work surroundings. We have a good relationship with them, and they tell us the city we should be going to each year. 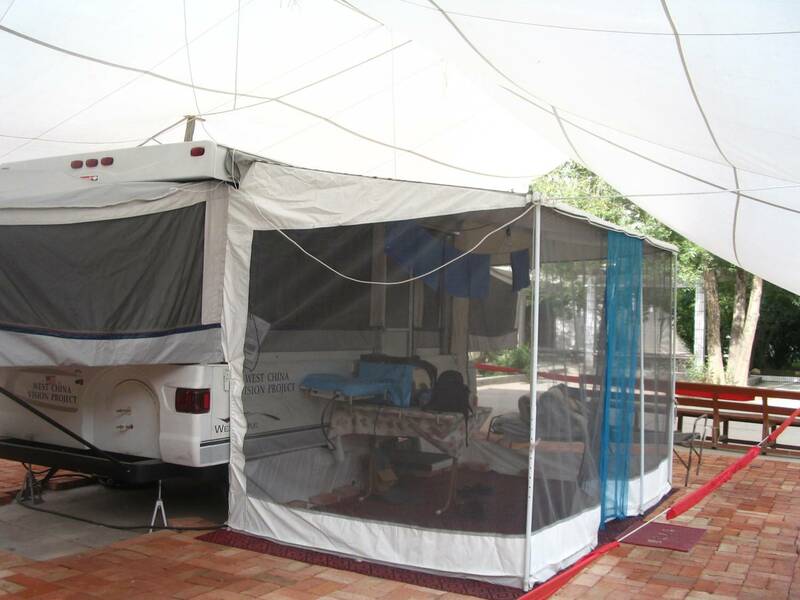 They also help us to store our trailer each year at the end of the Summer, so that it is protected from the weather and environment in the Winter months, and we have a functional unit when the following Spring arrives. The local health department knows that we are a respectable Christian based organization that has no hidden agenda. We come with good motives of love for the poor people, and they want to help us in any way they can. The Gansu Health Bureau even has a “line item” expense for GANSU INC in their annual government budget. Once we arrive, the local hospital becomes our partner in the daily work of screening and evaluating patients. The hospital workers are all very friendly and many are eager to work with us. That’s key because it gives us a greater possibility for doing more, and for building cohesive working relationships. The question now is how we add a greater educational component to that relationship. We also have partnership with U.S. eye surgeons, subspecialists and non-surgeon volunteers, who dedicate their time and resources to faithfully work with us each year. They are the heart and soul of the organization. Although our surgeons are generally most experienced with phacoemulsification, we do most of our cases as a small incision extracapsular extraction, which is very effective and works well for patients with truly blinding cataracts (ie. 20/400 or worse). Most of these cataracts are a little too hard to do with phaco, which is also more expensive, and yet shows similar results. We are certainly willing to teach the techniques of phacoemulsification to those doctors who wish to learn, but teaching them phaco is basically teaching them how to perform an advanced cataract surgery that is more attractive to those patients who have cataracts that are not so dense and who have money to pay for it. We feel they first need to learn basic small incision extracapsular extraction, which is essential for those who are have mature and hypermature cataracts, and these are also among those who are too poor to have gotten their cataracts removed sooner. With no money and poor vision, there is a loss of hope and greater dependence on family. This is where the government should be stepping in, and doing something to help, but the government doesn’t know how to help when the infrastructure for surgical training has never been well developed. This is were nongovernment organizations (NGO’s), like GANSU, INC., have come along to try and fill the gap, but the gap has become too great, and newer partnerships will be needed to make a real difference in the future. Do you also partner with the industry? Yes, and among several others, Alcon has been the greatest help to our organization throughout the 20 years. They have faithfully donated surgical supplies, IOLs and other gifts-in-kind on an annual basis. Actually, over the past 20 years we have got over $1 million in donated supplies from Alcon, and we really appreciate it. Have you been criticized for not being a very cost-effective service? Although no one has criticized our organization, some might say that we should be doing higher volume surgery, like 100 cataract surgeries a day. They need to understand that our organization is not about a short-term surgical strike and then departure. Rather, we have both surgeon and nonsurgeon volunteers that become part of a community for an entire Summer, and sometimes we come back to that same community for several Summers. Our way is perhaps not the most cost-effective way, but it is a consistent way that has weathered the test of time. Although we perform only 5 to 10 cataract surgeries per day, we do that for the entire summer on a regular basis. We believe that it is important to not just come into a community as a high volume “chop shop”, and operate on as many cases as possible before leaving. We rather try to integrate into the community, provide a consistent level of care, establish a good reputation among the people and build relationships and friendships over time. Coming back every year to similar or neighboring communities allows us to restore more than just physical sight to those in the community, but social, emotional and spiritual sight, as well. Our model is also better educationally, and we are striving to use our consistent presence as a time for mentoring promising young nonsurgeon ophthalmologists into capable ophthalmic surgeons, even though limitations do exist. Our multiple teams stay in the community for 3-4 months each year, and each team typically comes for one month at a time. Occasionally, we split the role of the surgeon in a team into two weeks each, since the surgeon usually has the greatest difficulty in leaving his practice back home for a whole month. The rest of the team, which is composed of a nurse, a resource person who sets up the generator, a “Cindarella” who helps with cleaning instruments between cases, and a translator, usually are dedicated to the full month to help establish continuity within the group. All teams come from the United States. You have actually been doing the education. Yes, we are doing it, but on a smaller scale. What we’d like to do is partner with others in formalized residency training. It would be great to have a hospital to set up a true western-style 3-year residency with didactic teaching and hands-on training. In the current Chinese model, relatively few people are equipped to become good eye surgeons, and those mostly are in Eastern China. But you’ve got millions of people blind with cataract, who are not being taken care of in the West of China. What is needed is a western style residency program, wherein a qualified medical doctor can be trained in 3 years into a fully equipped, experienced ophthalmologist, who has the medical knowledge to make proper diagnoses, and knows how to provide the surgical care in the treatment of the disease. I would love to find a scenario whereby a progressive Chinese hospital could partner with an institution like the Cleveland Clinic, and doing something significant educationally with exchanging information between the East and West. Maybe you will have your Cleveland Clinic China Branch in the future. That will be great! I really would love to see something like that, and would be excited to be involved in that process. What makes you excited in your daily work? I am excited when performing laser, cataract and corneal surgery, as I love both the technical steps of the surgery, and the positive response and care of the patients, postoperatively. I am giving people wonderfully restored vision all the time. But, I also recognize that in my local Cleveland community, I take care of patients who have the possibility to find another good doctor, if I were not present. This is why I also seek to make a difference as an educator. I am involved in teaching of residents and fellows at the Cleveland Clinic, and also among my colleagues in medical conferences around the world. Yet, despite my success in performing and teaching refractive, cataract and corneal surgery, I get excited over the possibility of caring for patients and enhancing the educational level in places that don’t have easy access to a well trained doctor, such as in Western China. Because of my connection to China through GANSU, INC., I would like to participate in the care of Chinese patients who have a more profound loss of vision, due to limited access of care, and also leave a lasting legacy by being involved in changing the education structure of that region, so that future access is possible when I’m long gone. . It seems that a lot of your energy has been put into humanitarian tasks. The humanitarian side of my job gives me a great sense of satisfaction. I enjoy it and I really feel I am making a difference beyond what I otherwise do in the U.S. Although I also perform research and travel internationally as an educator, teaching new technology and techniques in refractive surgery such as femtosecond lasers, custom laser profiles and cornea collagen cross-linking, I still like the simplicity of giving back my time and skills to the least cared people in the world. Dealing with my first world American patients pays the bills, but my passion in making a difference lies in dealing with the charitable side, the people no one else is taking care of. He was a former Secretary of Education and board member of the International Society of Refractive Surgery (ISRS) prior to its merger with the American Academy of Ophthalmology (AAO), and he now serves in both the executive and program committees of the new ISRS/AAO. He is the Associate Editor for the Journal of Refractive Surgery for more than 16 years, and he has lectured on refractive surgery in over 40 nations. 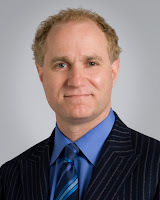 Dr. Krueger has received various honors and recognitions, including the American Academy of Ophthalmology Senior Achievement Award (2006), the Kritzinger Memorial Award of the ISRS/AAO (2007) and the Lans Distinquished Award of the ISRS/AAO in 2008. He has served on the board of GANSU, INC for the past 13 years and as president of the board for the past 4 years.